A 2015 winner of an Ernst von Siemens Musikstiftung Composer Prize, Christian is enjoying a prolific career with an array of commissions from prestigious institutions. Upcoming projects include the orchestral cycle Time and Eternity, comprising works for hr-sinfonieorchester (celebrating Breitkopf & Härtel’s 300th anniversary in January 2019), Vienna Philharmonic (as part of their complete Bruckner Symphony cycle, conducted by Christoph Eschenbach in April/May 2019) and Konzerthausorchester Berlin (also for Christoph Eschenbach, touring Germany in June 2020). Christian is also writing for Ensemble Recherche (premiere at Ultraschall Berlin January 2019), Arditti String Quartet (to premiere at the Paris Philharmonie in January 2020), Birmingham Contemporary Music Group, Ensemble Itinéraire (Paris), Ligeti String Quartet and the Concours International de piano d’Orléans ‘Brin d’Herbe’ (April 2019). In addition, Christian is currently developing a project initiated by the Royal Opera House, in collaboration with librettist Chris Goode. Recent years have seen the premieres of: ‘Man Made’ with soprano Anu Komsi and the Philharmonia for the ‘Music of Today’ series in May 2018; ‘Aimless Wonder’ by the München Kammerorchester and ‘Remnants’ for Opera Erratica, both in June 2017; ‘In the Midst of the Sonorous Islands’ composed for the participative CONNECT project, which was performed around Europe by the London Sinfonietta, Ensemble Modern, Ensemble Remix and Ensemble Asko-Schönberg during Autumn 2016; ‘Lahara’ for percussion sextet commemorated the opening of the new Asian Arts Theatre in Gwangju, Korea, in November 2016, as part of a project curated by Unsuk Chin; ‘Open to Infinity: a Grain of Sand’ (subsequently shortlisted for the 2016 RPS Awards) was a co-commission from the Lucerne Festival and the BBC PROMS for Pierre Boulez’s 90th birthday; ‘Layers for Love’ (recorded by Klangforum Wien and repeated by the Tokyo Sinfonietta) and ‘Sympathetic Resonance’ (recorded by the Orchestre National de France for the Radio France programme, Alla Breve). During 2014 Mason focused on vocal music developing ‘Somewhere Between Us…’ for amplified vocal quartet and Paetzold contrabass recorder at LOD Muziektheater, Ghent, with Silbersee and Tom Beets; ‘Reunion’, one part of the opera Triptych produced by Opera Erratica, and ‘Unseen Seasons’, his first choral score, premiered by the Tokyo Philharmonic Chorus. In 2013 ‘Isolarion: Rituals of Resonance’ was performed as part of his Lucerne Festival Academy residency under the guidance of Pierre Boulez and ‘The Years of Light’ was commissioned by the Tanglewood Festival of Contemporary Music (Artistic Director: Pierre-Laurent Aimard). ‘Noctilucence’, which was first performed by the Britten Sinfonia in 2009 in the UK and repeated in France, Poland and Switzerland, received its US premiere in Chicago by the Talea Ensemble in October 2017. Solo and chamber works include ‘In a world of invisible waves: a butterfly’ and ‘…as the sun is always…’, both for solo piano, the latter was in the 2017 Busoni competition repertoire and performed three times in the final round, a collection of songbooks for the Ligeti String Quartet, ‘Learning Self-Modulation’, commissioned for Carolin Widmann by the Auditorium du Louvre, Paris, Wigmore Hall, London and the CDMC, Madrid, which received the 2012 British Composer Award in the solo/duo category; and ‘Incandescence’, commissioned by Aldeburgh Festival for Jean-Guihen Queyras in 2011. Musique, Swiss SRF 2 Kultur and RTS Espaces 2; and released on CD by the London Sinfonietta Label (‘In Time Entwined, In Space Enlaced’), LSO Live (‘From Bursting Suns Escaping’) and Col Legno (Unseen Light, portrait CD). The article, ‘Questioning the sound: the music of Christian Mason’ by Arnold Whittall, was published in Musical Times in Summer 2017. Other collaborations, with artists, choreographers and theatre directors, include works such as ‘Songs for the Last Slam Door Train’ with Barbara Keal, the Transforme project at Royaumont and music for Peter Gill’s productions of his own ‘Another Door Closed’ (Bath) and ‘As Good as it Gets’ (London), David Hare’s ‘The Breath of Life’ (Sheffield) and Robert Holman’s ‘Making Noise Quietly’ (London). 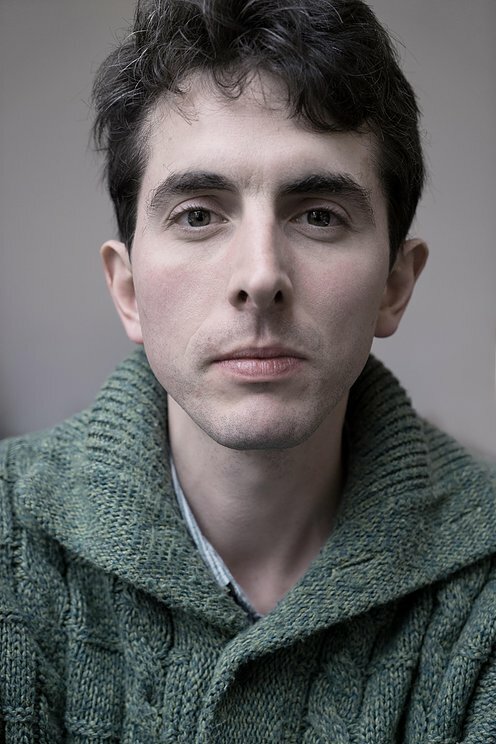 Christian is a visiting teacher of composition at the University of Cambridge and is Composition Support Tutor for the LSO Panufnik Young Composers Project. He has been invited as a resident artist at Civitella Ranieri (Italy) and SWR Experimental Studio in Freiburg. He was ‘Composer in Residence’ at Eton College (2014-15) and has worked as Composition Assistant to Sir Harrison Birtwistle. He completed a Ph.D at King’s College London with George Benjamin in 2012, following which he was awarded the 2012 Mendelssohn Scholarship to study privately with Frank Denyer. He previously read music at the University of York and has studied composition with Sinan Savaskan, Nicola LeFanu, Thomas Simaku and Julian Anderson. He has also participated in summer courses such as the Stockhausen Courses, Dartington, Royaumont Voix Nouvelles, Acanthes, Festival d’Aix en Provence and Darmstadt, as well as being a resident composer at Takefu International Festival, Japan in 2008. Christian is a founding co-Artistic Director of the Octandre Ensemble, which promotes contemporary music with regular performances across the UK. In 2012 the ensemble hosted the first Anglo-French Composers’ Forum at LSO St Luke’s thanks to support from ‘Diaphonique’. More recently, they performed a series of composer portraits at The Print Room, Notting Hill, and will release their recording of Frank Denyer’s epic work ‘the fish that became the sun’ on Another Timbre in 2019. Christian also plays the Theremin. His works are published by Breitkopf & Härtel.